Creating a successful software product business is not just a matter of creating a good software product. Fortunately there are just a few more well known things you need to know to create a promising business. Watch this short video to learn what other criteria you need to satisfy to build a successful software product business. Developing one good software product is important, but when you try to create business to sell that software product you need to pay attention to other details that are not about software development itself. Fortunately, those details are well known and easy to understand. I have studied many different types of software product businesses, including the ones that implemented, and was able to make a summary of the most important criteria that you need to address. 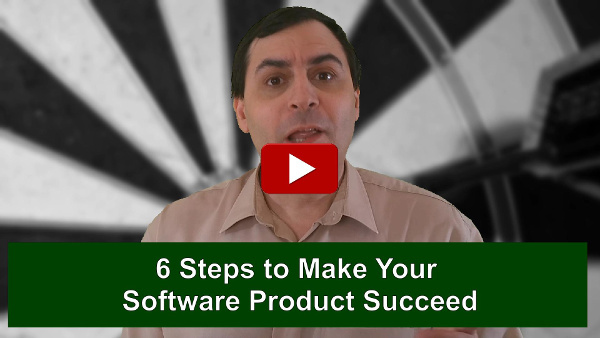 Therefore I created this short video below to tell you about 6 important steps you need to make to dramatically improve your chances to turn your software product business into a success. You can also find more information about free consulting sessions that I started to give to developers that need help to solve specific software product business problems. You will be able to apply to get these consulting sessions right after you signup (on the video page, not on YouTube) to get the video of the first consulting session already given to a developer. It presents 7 important insights of business advice that you may want to follow to become successful.